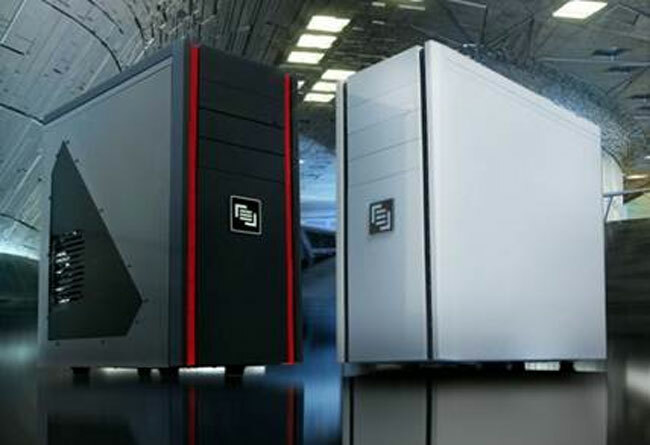 Maingear is a small computer builder that tends to focus on enthusiast gaming machines. The company has been selling a series of more compact gaming rigs for a long time now called Vybe. Those Vybe gaming machines have now been updated with a new chassis and new hardware on the inside. The new chassis will hold a full ATX mainboard inside and all of the machines get a No-Fail guarantee. Maingear is also now offering three pre-configured systems that ship quickly. One of the machines will ship the same day you order in most cases. The Vybe S is the same day shipping unit and it has an Intel Core i5 processor overclocked to 3.3GHz inside. It also gets 4GB of RAM, NVIDIA GTS 450 graphics, and a 1TB HDD for storage. The machine sells for $949. The Vybe SE will ship in 3-days usually and gets a Core i5-2500 processor, 4GB of RAM, GTX 560 graphics, and 1TB of storage for $1,129. The other 3-day ship notebook is the SS with a Core i7 2600K processor, liquid cooling, 8GB of RAM, dual GTX 560 video cards, 1TB of Storage, and a lot more for $1,699.